Home » TOP DOC in NJ! 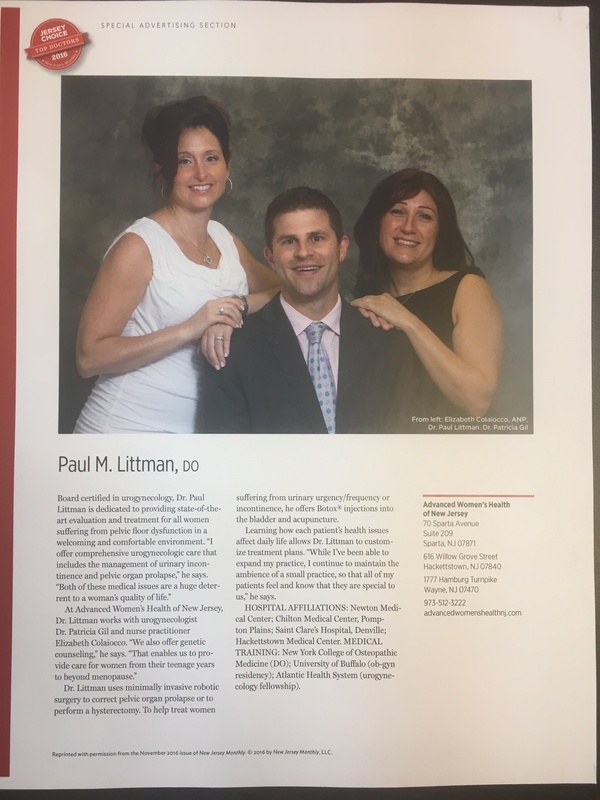 Here's our photo & article for the 2016 NJ Monthly TOP DOCs issue. Thank you to all that voted for our practice, and we look forward to providing outstanding care to all our patients! Dr. Littman & Dr. Gil are Castle Connolly Top Doctors for 2018!